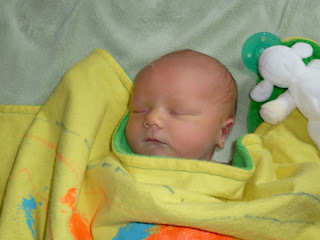 Knickernappies welcomes the newest and tiniest member of their team...Colby Tate Hicks! Heather, Shannon & Camille welcomed the newest member of their family to the world on Monday night! Colby Tate Hicks was born on Monday, June 7th @ 10:26pm. He came in at an adorable 7lbs. 6oz. and 19 inches long. Amazingly enough after only a 2-3 day break it's back to business as usual in the Knickernappies household, the only difference is that now they've got a new little cloth diaper model! 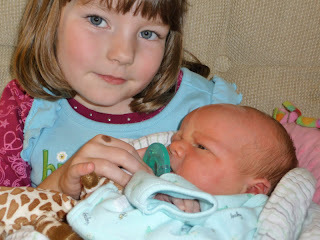 Heather and Shannon couldn't be happier and Camille is just loving her new job as big sister! He is such a doll! Congrats. Congratulations! The whole family is looking great and proud! Enjoy these days. He's gorgeous! 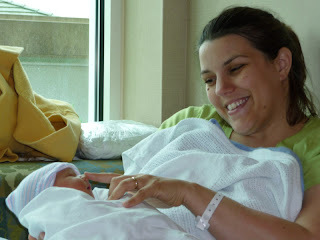 Congrats Heather and family! awn so cute! congrats! Bet the knickernappies diaper looks super cute on him! I"m entering the home grown families giveaway of your knickernappies diaper! Heather and fam I am so happy for you! Enjoy your new little man and I wish you all the best! Thank you everyone! We're loving having Colby in our family. 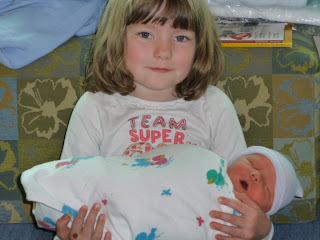 He's such a sweet baby and Camille is a wonderful big sister, as I knew she would be. We're having a blast trying all the different diapers. We'll take some pics of him in Knickernappies soon. I'm so impressed you're up and running. Congratulations to the whole family!!! Oh what an adorable babe! Congrats! WOW! what a beautiful baby... LOVE the name, he has the name of my husband- Congrats! Thank you! Looking forward to posting our first post-baby blog soon!